Most truck drivers work long hours and often have to drive late at night. Fatigue and drowsiness can easily set in during a long, lonely drive on a dark road. Fatigue is a factor in nearly 56,000 crashes every year, according to the National Highway Traffic Safety Administration (NHTSA). These wrecks result in 40,000 injuries and more than 1,500 fatalities. Driver fatigue clearly presents a serious danger to other motorists. The estimates regarding fatigue related truck wrecks vary, but this issue still presents an all too common danger for truck drivers and other motorists. 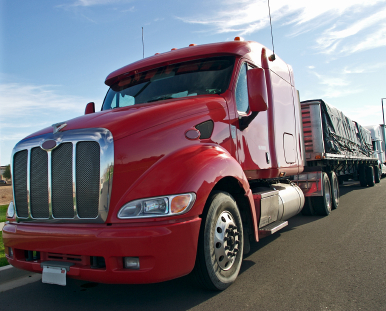 Truck drivers that have been awake more than 24 hours drive similarly to those with a 0.1 blood alcohol content. This discovery was found through a study by the Adelaide Centre for Sleep Research. The report shows that severe fatigue presents the same threat as drunk driving. Fatigue slows down a driver’s reaction time, decreases awareness and focus, and impairs judgement. The number of hours a truck driver can operate their vehicle is regulated by the Federal Motor Carrier Safety Administration. These regulations are designed to prevent a fatigued driver from being on the road. Truck drivers are not to exceed a 70 hour work week and must not drive for more than 34 consecutive hours. Drivers must also take a 30 minute break within the first eight hours of their shift. The regulations governing the 34 hour restart were suspended and are currently still under review. Despite the strict regulations placed on truck drivers, commercial truck wrecks are still a threat on the road. Determining fault in a commercial truck wreck is often more difficult than in a typical car wreck. If you were injured in a crash with a commercial truck, you should consult a personal injury attorney as soon as possible. A skilled attorney can offer you the help you will need to get what you deserve. Contact Attorney Dean Boyd if you need help with your personal injury lawsuit. Call us today at (806) 242-3333 or Contact Us by email to learn more about our services. You can also visit our office at 4423 SW 45th Ave in Amarillo, Texas or 5012 50th St #103 in Lubbock, Texas for more information about how we can help you.